The International Cast Polymer Association (ICPA) is a nonprofit trade association made up of manufacturers, suppliers, fabricators, and installers of cultured marble, cultured granite, and solid surface kitchen and bath products, which are made using the cast polymer process. The ICPA is dedicated to promoting recognition and demand for the industry’s products, supporting member companies on legislative and regulatory issues, and maintaining high standards of quality in cast polymer products. The International Cast Polymer Association began in the early 1960s, when a small group of manufacturers and a supplier met near Chicago to discuss common concerns and challenges facing them in the cultured marble industry. In the early 1970s, the Cultured Marble Institute (CMI) was formally and legally organized to share manufacturing techniques, which, over time, helped to greatly improve cultured marble products. 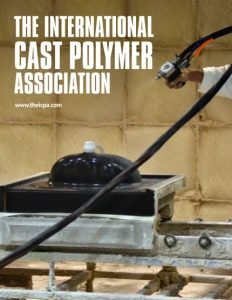 The organization continued to grow and, in 1993, the association incorporated as the International Cast Polymer Association. Like so many other industries, the cultured marble industry was adversely affected by the Great Recession. “There used to be hundreds of manufacturers of cultured marble throughout the United States, Canada, and Mexico in the early 2000s, when the industry was booming, and the demand for product was high,” says Jennifer Towner, ICPA’s Executive Director. “But, after 2008, the building market halted, the hospitality industry slowed, and many plants closed.” Because of this, the International Cast Polymer Association Board of Directors and the voting membership decided to form an alliance under the American Composites Manufacturing Association, (ACMA) as it was a more economical way to administer the Association. As the economy improved, and the cultured marble industry began to grow again with increased demand for its products, the Association decided in 2015 to return to a member managed organization and incorporated as its own non-profit, 501(c)(6) entity as the International Cast Polymer Association – now referred to as the “new” ICPA. From 14 manufacturer members, the new International Cast Polymer Association grew quickly to today’s total of 81 members, two thirds of which are manufacturers of cultured marble, granite, and solid surface products, with the remaining number being, suppliers, distributors, and affiliates. 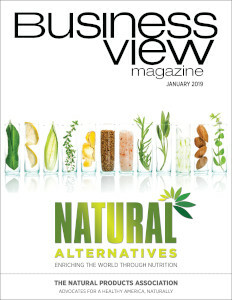 “We publish a quarterly magazine called Cast Polymer Connection, and I also publish a monthly electronic newsletter. We have an annual industry convention event called POLYCON. It’s an opportunity for manufacturers to get together. Suppliers and distributors bring their new products to display; we have breakout sessions and round table discussions, and hands-on plant demonstrations” In 2019, POLYCON will be held in Kansas City on April 10th-12th. Two of the most popular and widely manufactured cast polymer products are cultured marble, stone, and tile, and solid surface products. Cultured marble, stone, and tile is a precise blend of polyester resin, catalyst, fillers, and pigments that are mixed together thoroughly and then cast, or placed, into polished molds that have been coated with a clear gel-coat. The gel coat is formulated to achieve a tough, durable, waterproof, non-porous, and transparent surface which is very resilient and easy to maintain. The gel coat can also provide a glossy surface to the final product. The chemical reaction initiated by the catalyst causes the resin to become polymerized and harden, bounding the entire matrix together in a hard, strong mass. 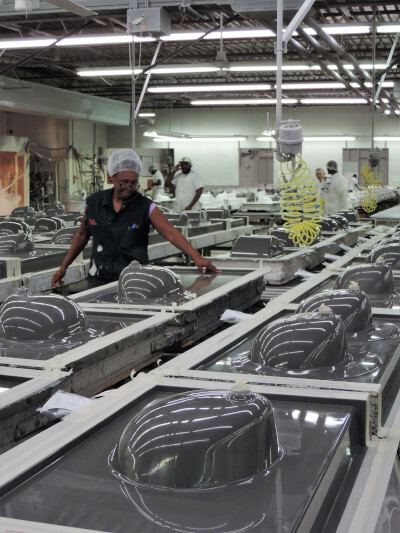 After several hours of chemical curing, the product is removed from the molds and trimmed, ground, polished, and inspected for any flaws. Cultured marble, stone, and tile is available in a host of colors and blended and veined patterns to compliment any décor in both residential and commercial buildings. Solid surface products consist of resin and filler but without a surface gel coat. Solid surfaces require a resin with higher strength and heat resistance. Solid surface products have many of the same advantages of engineered or cultured products. However, they are typically manufactured in sheet form for fabrication into finished products. Solid surface can also be cast into a variety of shapes, including countertops, shower bases, and bathtubs. Solid surface products are available in colors and patterns including colored granules or specks that make the final product look like natural granite and stone. The ICPA – Moving Forward with Forward Thinking. Check out this handpicked feature on The Columbia Machine Company.